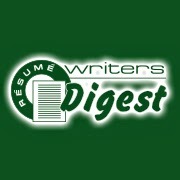 Credibility is critical for resume writers. We need our clients to see us as an expert before they engage our services, and we need them to believe in us in order to trust our advice. If you are credible, people will have faith in your resume services. They will buy from you, and they will recommend you to others. Follow through with promises. When you tell the client you'll deliver her draft in five business days, make sure you get it to her on day five (or, better, day four!). Do your best to honor the promises you make. Show that you care and respect others. Listen to what your followers and customers say. Acknowledge their concerns and respect their opinions. While, you cannot please everyone and may not be able to meet every demand, if you show that you care about your people, your credibility will increase. Customer and client testimonials can help you establish credibility. People want to see proof that something is good. As the business owner, they won't simply take your word for it. Displaying testimonials from satisfied customers goes a long way towards building credibility. Audio and video testimonials are much more effective than written ones. Don't be a fence sitter. If you believe in something, let it be known and stand behind it. Being "on the fence" diminishes your credibility. If you tell clients they need to always send a cover letter any time they can't hand the resume to the decision-maker, and they question you on it and you reply, "Well, you don't always have to send a cover letter." This can make your client question your methods! Have passion about what you're doing. If you are enthusiastic about your resume services, others will be too. Your friends and family, previous clients, and others will feed off of your enthusiasm and passion and in turn spread it to others. If you're shy, use the written word to share your passion. Credibility translates to income. A credible resume writer is more attractive than a resume writer who isn't as credible. Did you realize that thousands of website operators use a simple technique to generate targeted visitors to their websites without paying a dime in advertising? It's true. In fact, the technique works so well that many of them don't want you to discover how they get those thousands of website visitors and make so many sales on virtual "auto-pilot." Creating tightly focused articles other people publish in their ezines (online magazines and email newsletters) and post on their websites. This method rates so powerful that some even call it "the web's best-kept traffic secret." Now, you may ask, "Why would an ezine publisher or website owner publish my articles for their subscribers?" Over a 100,000 ezines and newsletters operate on the web (along with millions of websites) covering everything from pets and cooking to investments and real estate. Many of them need tightly focused content and they simply can't produce all of it themselves. Look at it this way... it's the same reason newspapers use the Associated Press. Individual newspapers often can't afford staff writers to cover every story, so they accept articles from outside their organization. You can do the exact same thing for various ezines and websites catering to your niche audience! You can get valuable publicity -- exposure you often couldn't even pay for if you wanted to -- by providing valuable, content-rich articles in exchange for a byline and a link to your website (called a "resource box")! Attain "Expert" Status. Let's face it! In the eyes of virtually everyone who reads your articles you rank as the "expert" on the subject. Just look at people who write newspaper columns. You may disagree with their viewpoints, but they still have an elevated status in your mind compared to the "average Joe" off the street. Pre-sell Website Visitors. If your article appeals to a niche audience hungry for more information on a very focused subject, you actually pre-sell them better than any sales pitch. In their minds, you've already delivered content they really want so when they click over to your site you already have a "reputation" in their minds. Traffic Lasts Longer. Even though the Internet changes very quickly, webmasters are usually very slow to remove content from their sites. Once you get an article posted on another person's website, you have an excellent chance of that article staying there for weeks, months, even years. Increase Links To Your Site. In a recent search I found just a dozen of my articles posted on over 813 different websites! Not only do those postings bring me traffic, but they also help my search engine positioning because of my increased "Link Popularity." Builds Your Affiliate Base. Fact: Affiliates always take the path of least resistance. If you provide excellent articles they can easily post on their sites or copy and paste into their ezines, your affiliates will promote you more often and more effectively compared to those who don't give them tools. Plus, as you make more sales and publish articles, other people will see you providing excellent tools and will want to sign up as your affiliate so they can use them too! Build a Huge "Opt-In" Email List. You can use articles to build up a huge list of subscribers by simply compiling several articles into a series and delivering them at preset intervals. Often called a "mini-course," this technique allows you not only to prove to your subscribers that you deliver great information, but enables you to capture their name and email adress so you can send them articles and special offers in the future (with their permission). Requires No Special Skills. People often think they need to be a "writer" in order to publish articles, but that's not true! FACT: If you have a passion for a subject and can talk and explain things like you would to a friend over a cup of coffee, you can write articles people will love to read. So if you operate a website selling virtually any type of product or service (whether your own or as an affiliate), publishing and promoting with articles should rank high on your list of traffic generation strategies. No other method of generating targeted traffic to your website provides the quality, quantity and steadiness of traffic in such a simple, straightforward, and cost- effective manner. Jim Edwards is a syndicated newspaper columnist and the co-author of an amazing new ebook, "Turn Words Into Traffic," that will teach you how to use free articles to quickly drive thousands of targeted visitors to your website or affiliate link! As the end of the year approaches, it's time to start thinking about taxes. Yuck. I know. When you own a resume writing business, there are a lot of things to consider. One of them is taxes. It will take you a little longer to get them done than someone who is a W2 employee, but there is one upside — tax deductions for the self-employed. When it comes to taxes, there is a lot to know. As a self-employed professional, things can get a bit more complicated because you work for yourself. When you work for a company, your wages are subject to taxes. You fill out a W-2 form and the company does the rest. You can see on your check what has been deducted for state, federal, and social security tax. It's a no-brainer for the employee. I'm jealous for some of my jobseeking clients when I think about the ease of getting a W-2 form. I'd have my taxes done when there is still snow on the ground in Nebraska if I were an employee! But alas, I've been self-employed since 1996. Most self-employed people receive their full pay for their services. Taxes are not taken out. This gives you an advantage when it comes to utilizing as much of your money as you can. But, tax time comes and it's time to settle up with the IRS. This involves calculating all of the income you've earned from clients, and then figuring out your tax deductions. Deductions in the form of tax write-offs can reduce your taxable income. This can change your tax bill. Travel expenses — Did you attend a resume writing conference this year? Time to pull together those records -- conference registration fees, airline tickets, meal receipts, gas receipts, and other incidentals. A percentage of these expenses are deductible because they were incurred in the transaction of your business. Medical expenses — Because you are not employed by anyone, your medical bills are your responsibility. However, you can regain some of the insurance premiums you paid on your tax return. The exception to this rule is when your spouse is eligible for family insurance at their job and this could cover your medical needs. Again, check with your tax professional. Also: Look into a Health Savings Account as a way to increase your deductions for expenses you're already paying. You work hard. Make sure that you claim all tax write-offs that are due for your resume writing business. Guest Post: Increase Sales By Flying Under Your Prospects' "Radar Defenses"
Just these 11 sources can overwhelm your brain with marketing messages. Like trapped rats, people develop defenses against this never-ending onslaught. 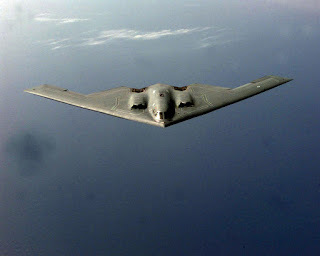 They throw up a wall or a "radar defense" that goes into action the minute they smell a "pitch" or a sales job. Don't blame them. We all do it! So how can you get around this psychological wall against the constant sales and marketing messages? Well, the answer does NOT lie in hitting people with more frequent and obnoxious advertising or sly, sneaky tactics. You might get them to trust you for a minute, but it will backfire in the long run. First, you must establish credibility for yourself and your business as an expert. Second, you must reduce their fears about doing business with you. So how do you accomplish these two "simple" things? What will win someone's attention, raise your credibility, and lower their fear factor all at the same time? The one-word answer really applies to most everyone. If a seller can get behind your defenses with information which makes you trust them, then that credibility will carry over into a sale much of the time. How can you get this credibility? Well, take this next fact as online marketing "gospel," for many people have proven its effectiveness. How can we prove this works? Quite easily actually. Take a break from reading this and go check out a newspaper or magazine for a minute. Very few things will create an atmosphere of trust and confidence in people as reading one of your articles on a subject that greatly interests them. It shows you know your business. It also demonstrates you will do more than just try to sell them something. Publishing articles literally lets you fly under their advertising "radar defenses." Few things create as much trust and confidence in the minds of potential customers as reading an article you wrote on a subject which specifically and intensely interests them. Articles establish credibility quickly because, right or wrong, we've all been trained to trust the "news." An article, or series of articles, will differentiate you from the competition, who bombard people with nothing but sales messages. Providing content-rich, non-sales-oriented articles will also help build and solidify your relationship with existing customers so they give you repeat business. 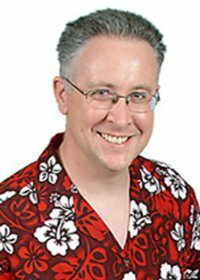 Jim Edwards is a syndicated newspaper columnist and the co-author of an amazing new ebook that will teach you how to use free articles to quickly drive thousands of targeted visitors to your website or affiliate links! Need MORE TRAFFIC to your website or affiliate links? "Turn Words Into Traffic" reveals the secrets for using FREE articles to drive Thousands of NEW visitors to your website or affiliate links... without spending a dime on advertising! There comes a point in time where almost every resume writer experiences a burnout feeling. Sometimes the mere thought of one more client project is enough to want to send you back to bed — and, at times, you may find yourself putting your work on the back burner. This can have a terribly negative impact on your business, your income, and your client experience. What can you do when you feel you can no longer deal with your clients, and you can't stand the thought of one more project? Should you be focusing on another niche instead of what you are doing? If you like the work, but don't like the kinds of clients you're writing for, maybe specializing in a specific niche would be a good idea. Being buried in projects can only add to this burnout phase you are going through. If necessary, you may consider outsourcing some of your work to a trusted colleague. This will definitely help you catch up and maintain your ability to meet client deadlines. You don't have to bring on a subcontract writer permanently! Just post a request for help on one of the E-Lists (NRWA, CDI) and get caught up. Let your creative juices flow. If you are bored doing the same old thing day in and day out, then it's time to do something new. Put your creativity to use and find something fun to do that will help your business. This could be something as simple as learning a new skill, software program, or possibly making a video for your blog or website. Anything that will help break the monotony of a typical day can help you survive a burnout. 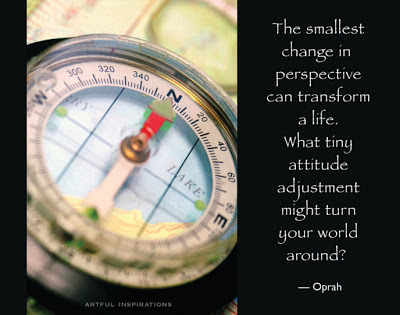 Take a good look at where you are and where you want to be. It might be that you need to make some changes to the type of work you are doing and what you are offering to clients. If every project is something you dread and dislike doing, it's certain you will be facing a burnout more often than necessary. Do you need to change your pricing, so you're making the same amount (or more) while working with fewer clients? Don't beat your head against a wall when you feel the burnout syndrome coming on. It is bound to happen to everyone at some point in their career. Once you find the source of your burnout, it's important to do something about it. Don't ignore it, or that feeling will certainly return. Find the source and take control. You'll be glad you did! One way to feel more confidence and control in your business is to engage in business planning and goal setting. 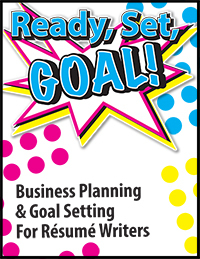 Check out this month's Special Report for Bronze members on BeAResumeWriter.com: "Ready, Set, Goal: Business Planning & Goal Setting For Resume Writers." Guest Post: What's the Difference Between Salad and Garbage? 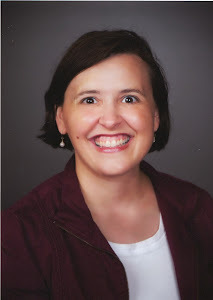 Today's guest post is by marketing expert Fabienne Frederickson. A few years ago someone asked me, "Fabienne, what is the difference between salad and garbage?" I had never been asked that before. The only difference between salad and garbage is time. When you're looking at a fresh green salad and you don't eat it right away, in a few days it becomes garbage and unappetizing. You've also heard the idea of striking while the iron is hot--hot leads turn into cold leads if you don't take action on them right away. In business, timing is everything. A client of mine always used to say to me, "Fabienne, it's really difficult for me as a real estate attorney to attract clients because I can never anticipate when they're going to need me. (This is also something that résumé writers face.) It's not something that they need very often, so how do I know when to market to them? I don't know how to market to them. I don't know when to market to them. It's just all so arbitrary." Watch this week's video to find out my strategy on how to use stay in touch marketing vehicles to solve this problem. Being consistent in this way will ensure that you have always have clients. Fabienne Fredrickson, The Client Attraction Mentor, is founder of the Client Attraction System®, the proven step-by-step program that shows you exactly how to attract more clients, in record time...guaranteed. 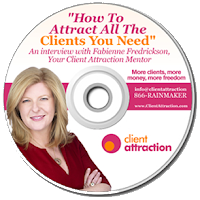 To get your FREE Audio CD by mail and receive her weekly marketing & success mindset articles on attracting more high-paying clients and dramatically increasing your income, visit www.attractclients.com. Ease of publishing. Platforms like Clickbank and E-Junkie allow you to use PDF formatted books. This saves you a lot of formatting hassles that you might encounter with ibooks or the Kindle platform. Upfront fees. 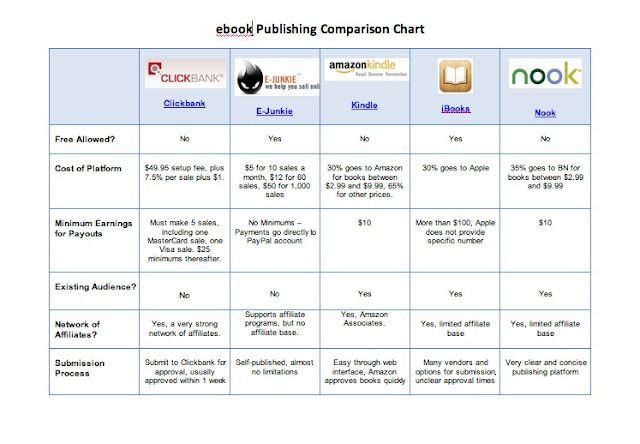 Some of the publishing platforms have initial fees. For example, Clickbank (which is an extremely popular platform for publishing information products) charges a $49.95 setup fee. Payout thresholds. Always consider the payout threshold — you don't want to have to wait too long to get your money! Do you need marketing help? Platforms that provide visibility for your ebooks — and/or an affiliate network — can help you sell more books. If you don't have an existing mailing list or "tribe" to sell your ebook to, consider a platform like Kindle that offers you additional exposure. One of the key principles of the "Turn Your Content Into Cash" teleseminar I'm doing next week for Bronze members of BeAResumeWriter.com is selling information products -- including ebooks. 1. Get your book reviewed by review clubs. Each book store (E.g. Kindle store, Nook store, iBookstore,) has an active community of people who’re happy to review books for one another. 3. Get on the radio. You can build your own media list, or buy an ad in the Radio Television Interview Report (RTIR) to promote yourself as an expert. 4. Contact career-related podcasts and offer to be interviewed. Send them a free copy of your ebook first so they can make sure they like what you have to say. You may be asked for a sample of you on audio so they know you sound good when recorded. Look at PodcastDirectory.com for some ideas. 5. Do a search for similar books. Look at who’s promoting them and contact those websites. Offer a generous affiliate payout if you’re selling on Clickbank, or try to find some other “in” with them. 6. Tap into a pre-existing community. For instance, if you’re selling an ebook for CIOs, get involved with online CIO associations and forums. Build a reputation for yourself, then promote your book. 7. Try to push your eBook to the top of your category, if you’re on an eReader platform. Have all your readers buy your book on one day and give them a bonus if they do so. This can send your book skyrocketing into the top charts, which gets you even more visibility. 8. Start your book cheap. Start your book at $0.99 cents, even if you eventually plan on selling it for $4.99. Starting it off cheap lets you get a bunch of reviews and initial traction right off the bat. 9. 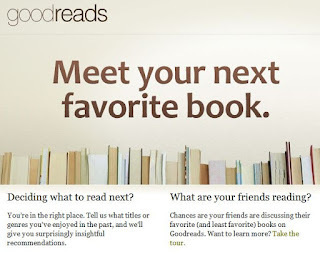 Buy ads on reader-oriented websites like Goodreads. This gets you in front of people active book lovers who’re already in the habit of buying books all the time. 11. Create a compelling affiliate program for your book. Be unusually generous. For example, offer a 100% payout for the first 3 books, or offer a $50 bonus to anyone who sells ten books. This can attract a lot of new affiliate talent towards your book. 12. Comb your LinkedIn and Facebook network. Look for people you know that have audiences, host events, or have a large online presence. See if they’d be willing to promote your book. Make sure to phrase it as a win for them as well by offering to help them in some way. 13. 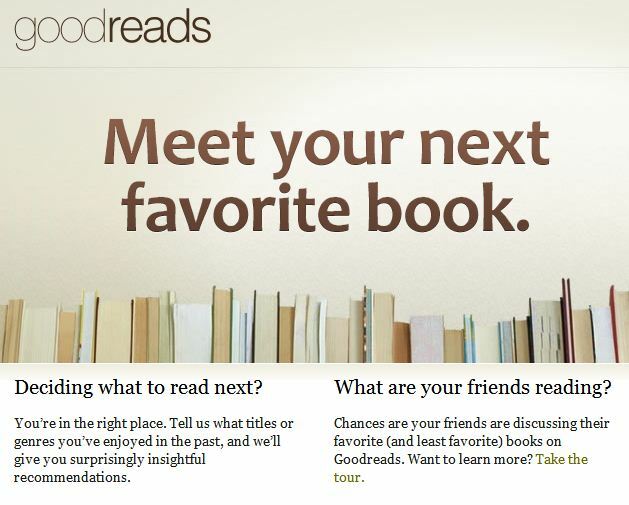 Send your first chapter to BookDaily (http://www.bookdaily.com/). This site gives avid readers one free chapter every day, on books topics they’re interested in. If you wrote a business book for instance, your first chapter can be sent out to everyone who’s interested in business. 14. Lookup conventions and conferences in your industry. Go to all of them. Meet other influencers in your niche and see if you can work together to promote one another. Who knows? You might also sell a few book copies. 15. Head to Twitter and search for questions that someone who needs your book might ask. For example, if you have a book about improving cover letters, you might type in “need a cover letter” or “do I need a cover letter” and so on in Twitter. Find people who recently asked relevant questions and shoot them a message. 16. Keep publishing! Publish lead-in books. If your main book is a $6.99 book, consider publishing a slew of $0.99 or free books just to get more traction and to build more of a brand. All of those sales will feed into the sales of your larger book. 17. If you’re publishing the book on Clickbank, try driving some traffic from Google AdWords and from other sources, like ads on Facebook. Paid traffic can convert extremely well. This works much better for Clickbank than Kindle, because Clickbank books tend to sell for a lot more money. 18. As a long term strategy, create a blog. Post high quality content to that blog every week. Get ranked in the search engines and build a loyal following. This is a great way to sell books on a recurring basis, as well as a great way to launch new books. 19. Create a competition. The competition should be related to content within your book. Prizes can include free consultations with you, two copies of your book (one for the winner and one for them to give to a friend), your help on their next project, a personalized plan for their project, etc. 20. Use Google Alerts to keep tabs on your topic. If someone writes a new blog post about something related to your book, be one of the very first people to respond to the post. Link to your Kindle book from your “name” and “website” field. Taking just a little bit of time at the end of the year to prepare for the next can make a tremendous difference. I'm one of those people who believes strongly in the idea of writing down your goals as a way of making them come true. In the next few weeks, I will be creating my plan for 2013, including the goals I hope to accomplish. Don't just meander into the next year. Launch into it with gusto and purpose. These five ways of preparing will help you start your new year off with a bang. Reflect on 2012. What were your biggest wins and your biggest losses? What made those wins or losses happen? Look for core lessons that you can take away. What can you learn from your mistakes? What changes do you need to make in your resume writing business to maximize your successes? Ask your resume customers for feedback on your service or your products. Talk about what they like and what they don't like. Also ask them about what they'd like to see from your company in the future. (Are they interested in learning more about LinkedIn? Do they want more support from you than the occasional resume update?) Your customers can be your best source of new ideas going into the new year. After all, the only real vote in business that counts is when your customers "vote with their wallets." 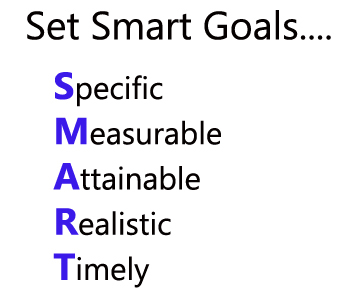 Finally, set measurable, metric-based goals for yourself/your resume writing business. Ideally, you should set one BHAG (Big Hairy Audacious Goal). This can be a revenue number or a number of clients you want to stretch to reach! If you perform these five steps, you'll plunge head first into 2013 well prepared and positioned for success! If your results indicate that you are an Introvert, you may find it difficult to connect with your colleagues — but this connection can be essential to your success as a resume writer. You may think that being introverted means that a person is shy. That's not necessarily the case. Introverts do tend to prefer one-on-one conversation over group meetings. They also tend to require a significant amount of quiet time to think and reflect. Introverts are motivated internally. They are thinkers and can become so locked inside their own head that they appear cut off from others. These tendencies can make it difficult to meet people, make connections, and network. Yet connections can help you build your business. In short, relationships are essential for success. Yet introverts can struggle to meet people and forge these powerful and profitable relationships. Here are a few things you can do to meet more people if you're an introvert. Set a goal to meet one new person each day. This is easily done online — for example, on LinkedIn. (In most communities, you have to make a concerted effort to run into someone who will be a valuable connection for your resume writing business -- for example, another resume writer, a career coach, a therapist, a Realtor®, someone who works in a career services department.) But you can use LinkedIn's "People You May Know" function to find at least one person to connect with on LinkedIn. Remember, relationships build a business. The more people you know, the more opportunities you're exposed to. As you begin meeting people, start asking those you connect with on a personal or professional level who they know. You can leverage 5 connections into 25 if each person you meet introduces you to 5 new people. Your network will begin to grow and you'll be meeting people who are like-minded. It's a wonderful way to build a support network. Set time aside to recharge and refresh. This is particularly important if you're taking time to get out and meet new people. For example, if you spend an hour networking online, then make sure to schedule an hour of downtime that day too. It's too easy to become overwhelmed and burned out if you spend a lot of time networking and neglect the downtime an introvert requires. Introverts have a spectacular ability to brainstorm, problem solve, innovate, and build a business. Yet the ability to meet new people and leverage relationships is a challenge. Appeal to your ability to connect with people on a one-on-one basis and start meeting more people in a relaxed and comfortable manner. There's no need to force yourself into a public speaking situation or into a large-scale networking group. Work to your strengths.